If you are a beginner in sports, if this is your first steroid course, then if you take the original drugs in medium dosages according to the scheme, you can count on burning excess fat, increasing the overall musculature and the measure of physical strength without fluid retention, the phenomenon of aromatization, negative health effects and with the possibility to save the typed results for a long time. Choosing a course for the mass of Turinover + Sustaver 250, every athlete should know that the emphasis in it is still being made on a constant increase in the coefficient of physical strength. In practice, often the athlete in the gym continues to use a small working weight, and his muscles prevail over the strength indicator. Very rarely today, athletes who want to achieve high professional results, manage to do this without the participation of Turinover + Sustaver 250. In the case of competent reception, the athlete's body will not be harmed. And the result will be not only a presentable relief, an increase in the indicator of strength, excellent well-being and readiness to conduct effective training. Sustaver 250 is a drug with pronounced androgenic activity. He proved himself in sports as a means to quickly musculate in an exceptionally dry form, as well as endowing an athlete with physical strength. All this steroid fully demonstrates on the course in tandem with Turinover. Turinover, in turn, is also working to increase the overall musculature, while well burning fat deposits. But the "leading" in terms of recruitment of musculature will be exactly Sustawer. The recommended duration of the course is no more than 5 weeks. Oral Turinover should take 2 tablets a day in the first week, 3 pieces - in the second, 4 - in the third. Then the amount is reduced and is 3 tablets on the fourth and 2 tablets per day in the fifth week. As for Sustaver 250, it is better to chop it on the same days of the week, for example, selecting Monday and Thursday. The dosage is 1 ml for each time. The weekly amount of Sustaver 250 should be 2 ml (twice in total). 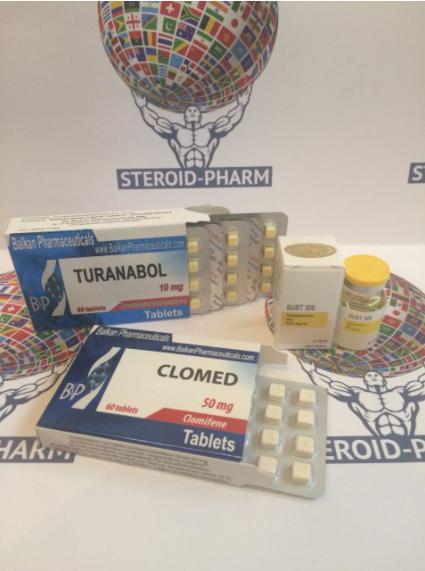 After finishing the course on the reviews of the pros, it is advised to conduct PCT with all the known Clomid drug. We start to use 2 weeks after the end of steroid intake. His intake is 1 tablet a day for 3 weeks. The course includes: Turinover - 100 tab. + Sustaver 250 - 10 ml. 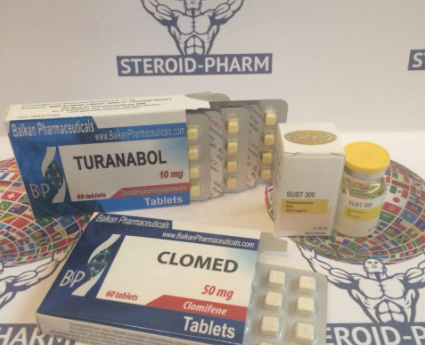 + Clomid - 20 tablets.